Photo credit: Photogen Inc on my wedding day. A friendship can weather most things and thrive in thin soil; but it needs a little mulch of letters and phone calls and small, silly presents every so often just to save it from drying out completely. Hand written notes and love letters are back! Or maybe they aren’t back, but I so desperately want them to be back that I am going to make it happen—at least in my own life. With more than 2 billion e-mails sent every single day in the world, it’s not surprising that hand written letters and notes might be a thing of the past. Yet, there is nothing more lovely than giving or receiving a simple card or letter in the mail that is hand written. I recently caught up with Emily of Emily Ley Paper to discuss our love for beautiful hand written letters! Emily Ley Paper is a collection of classic paper goods with sweet, Southern charm. 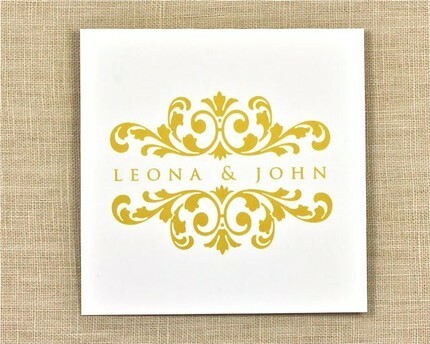 She creates personalized stationary and custom monograms for weddings or just for everyday life! I think notes can so easily make someone’s day. I remember receiving a beautiful, simple pink envelope three years ago. It was sitting on my keyboard in my tiny cubicle at my new company. It was my first day on the job and my boss (at the time) gave it to me. It was less than 10 lines, yet so impactful. She thanked me for my hard work that day, expressed her happiness that I was with our company and told me to have a great night. Simple—yes. Thoughtful—yes. Forgettable—never. For me, I feel fancy and giddy with excitement when I send a lovely card in the mail. The only negative is that my handwriting destroys even the most amazing paper, but I try. And I will continue to try. If a card is beautiful or whimsical, I am more likely to write in it, so for me, it’s worth the splurge. As a dreamer and someone who believes that life is what we make of it, I think we are never too old, we have never been married too long and we are never too busy to put that kind of effort into our everyday lives like Emily’s mom did. 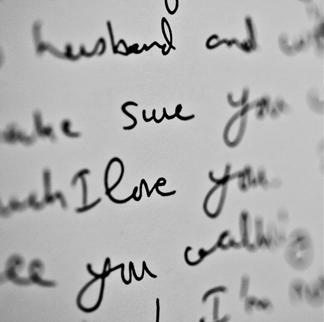 There is nothing better than seeing a pretty envelope on my nightstand when I walk into our bedroom with my name scribbled (and I mean scribbled because my husband and I were both blessed with terrible handwriting) on it from my husband. And for Emily, paper helped her husband to pop the question! So now, I challenge all of you fancy people to write three handwritten notes in the next week. They can be to anyone, about anything. I guarantee only good will come of your effort. Together, hundreds of people will receive something so special, so thoughtful and so needed this week. Use your own voice-don’t try to sound like something you’ve read or someone you’re not. Write how you speak and no different. Your voice is beautiful and will make your note feel intimate, heartfelt and real! And on top of crafting a lovely letter with your own voice, the key is really to just do it. 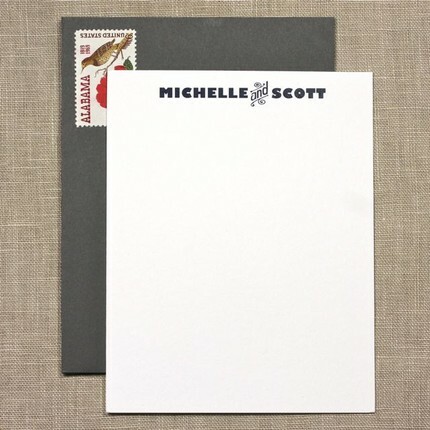 Buy attractive stamps, cute cards or stationary (like those Emily sells! ), stock up on addresses and start looking for reasons to send notes to anyone and everyone in your life! 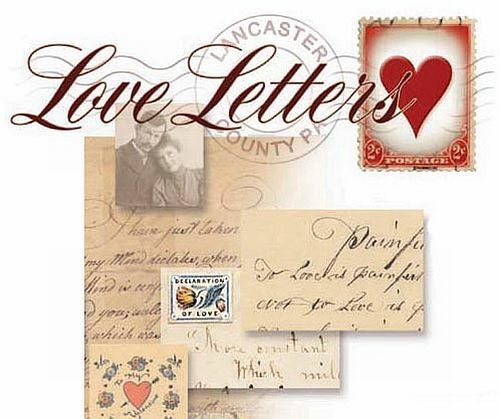 The best way to write a love letter is straight from the heart. Give it one shot and let your emotions spill. If it comes out funny, good! If it comes out emotional, good! Sometimes its best to write exactly what spills out rather than worrying about perfection. My favorite products right now are my flat note cards. They’re personalized, extra heavy and paired with kraft envelopes. 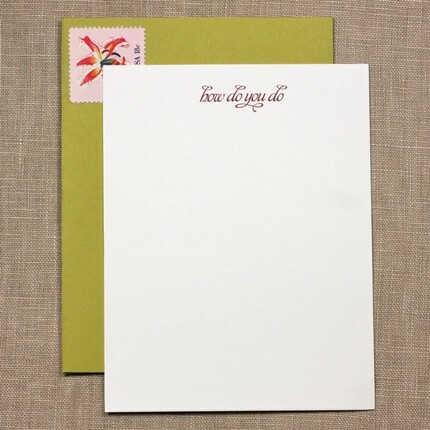 Choose a vintage stamp and jot a quick note to make a big difference in someone’s day. 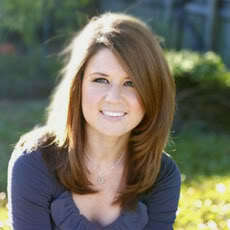 Check out Emily’s work by visiting her Web site, her Etsy store or follow her on Twitter. 6 Responses to "fancy love letters"
Just when I needed an excuse to buy myself some new stationery :) Great post Jessica! Letters are a lost art and it’s terrible. Have you tried to write anything of notable length lately? I have, and I’ve found I kind of forgot how to do it – at last in a legible manner. Thanks for this post … maybe it will produce at least a few letters somewhere out there! P.S. Do you know Bethany of Emmy Lu Designs (http://www.emmylu.com/)? She’s local, has great stationery, and a fantastic crafty blog. P.P.S. Emily Ley is fantastic too! Great post, I’m inspired to write a letter now. I’ll start with my grandpa and go from there!